Talking about the album that should have been! When these songs were originally released it was as bonus new studio recordings at the end of the two Keys to Ascension sets. Presumably the label didn't feel there was a market for a new studio album by Yes without songs that were favorites. That's a shame because finally presented like this it makes for one of the strongest discs the modern Yes has produced. In all truth, the better approach would have been to release the live music as three disc set – a new live album of the SLO performances. Then this could have just been titled Keys to Ascension and set loose as a true new Yes disc. 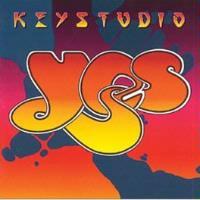 As it is, if you already have the KTA discs and are not a Yes completist you can bypass this one. If you didn't buy those sets, though, this comes highly recommended as some of the strongest new Yes material in a long time. Since all of these tracks were originally reviewed in my looks at those two KTA discs, I'll include those here (modified a bit) for the sake of consistency. I really don`t like the gospel sort of feel to the intro of this song, but in general, this piece has a nice groove to it-----at times seems a bit reminiscent of The Yes Album while still maintaining a fresh new sound. This contains a very nice keyboard break, followed by an interesting instrumental section, but does get a bit repetitive at times. The intro here feels much like an Anderson, Bruford, Wakeman and Howe track. The verse is in a mode that seems a bit like a combination of late Rabin era Yes, classic Yes and Jon Anderson`s solo career. The chorus is in a strong ABWH based mode. There is a harder rocking segment to this piece that is quite wonderful. The texture of this segment is great and it features some fiery guitar work from Howe. The only complaint about this movement is that Wakeman is pretty much nonexistent there. In fact, Wakeman`s presence almost feels like an afterthought on the entire composition. However, this harder portion, which comprises a large percentage of the cut, really makes the piece. In classic Yes style, the track includes many varied segments. The intro to this song is rather reminiscent of Tales From Topographic Oceans, but as it builds it breaks into new musical ground, while still maintaining a definite Classic Yes feel. I really felt at first that the chorus section really didn`t fit this song, but now I have grown to see that it does fit. However, it still seems to mar the continuity a bit by repeatedly bringing a song that seems to be building well back down. Just seems kind of unsatisfactory from a dramatic point of view to me. There is an acoustic break which reminds me a lot of Peter Banks` style of playing, then it breaks into a nice instrumental section, much in the vein of Close to the Edge, although, perhaps a bit jazzier at times. The mood of the end of the song is quite nice. This song, which in many ways has an Anderson, Bruford, Wakeman and Howe sort of feel to it, in general contains some very nice guitar work, most notably in the intro section. This is a nice instrumental, again, rather in the vein of Anderson, Bruford, Wakeman and Howe, and contains some very tasteful guitar work. Arguably the best Yes cut in quite some time, this is another epic piece. Beginning with a textural keyboard segment, acoustic guitar takes over for a while in a wonderfully intricate display of fretboard proficiency. The song then jumps to a bouncy sort of mode that is interspersed with more of these acoustic meanderings. Gradually during this segment, the other instruments join in at different points. When the bouncy segment returns, it evolves into a chant movement with very jazz moded drums. This portion transforms to just drums and voice before going to electric based rock. This new segment (the early verse movement) has a very nice groove to it. As the next portion of the song emerges, it jumps out of that segment. Almost an extension of that movement, this one is in a more solidly rocking mode, but still with a strong groove. As the song builds, some of the guitar work, although not technically amazing, really creates a nice tone, and is a bit reminiscent of the Tormato album at times. The piece then continues to move into more melodic segments that continue to progress the momentum. This one really features a lot of solid prog in its numerous changes, and it definitely feels like a modernization of the classic Yes stylings. Amongst the various movements, it features a beautiful piano and vocal portion. Eventually the song comes full circle returning to the bouncy acoustic based stylings, then into the drums/chant textures. From here a prog instrumental break emerges that really screams "classic Yes". From that point forward, this is a very strong prog number that certainly proves Yes still have the magic in them. This song was not very impressive when performed live, but this version is far better. It starts with a nice acappella intro, then the instruments come in and the whole piece gradually builds, a Yes technique that I have always really liked. There is some very nice piano work in this song, and the ending segment is a very dramatic break which reminds me a bit of one of the more sedate instrumental sections of "Awaken."